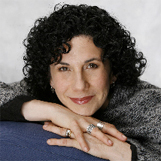 Berman Fortgang - Joelle Delbourgo Associates, Inc.
Laura Berman Fortgang gained an international reputation as a pioneer in the personal coaching field. Only one expression of her twenty plus years of supporting people to find meanin g, purpose and satisfaction in their lives, Laura is also a best-selling author, sought-after speaker, corporate spokesperson, performer and interfaith minister. Laura’s years as a professional musical theatre performer helped form her no-nonsense, entertaining writing and speaking style that has helped her uplifting messages spread far and wide. She is the best-selling author of five books now published in 12 languages. They include her most recent book, Now What? 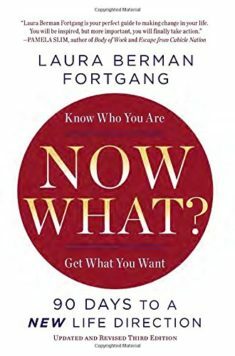 90 Da ys to a New Life Direction (revised edition, March 2015/Tarcher/Penguin), as well as perennial sellers Living Your Best Life, Take Yourself to the Top and The Little Book On Meaning which was a finalist for a Books for a Better Life award alongside the Dalai Lama. Laura is a favorite of the media. Her appearances on Oprah, The CBS Early Show, Today, Good Morning America, various nationally syndicated and cable outlets as well as a long stint as contributing editor for Redbook Magazine and as a Huffington post blogger has helped her reach millions of people who want to improve their work and life. Through her coaching company, InterCoach, Inc./Now What?® Coaching, Laura has provided coaching to diverse clients ranging from homemakers, celebrities and Fortune 500 companies to NASA and the Army Corps of Engineers. One of the first to be formally trained as a professional coach and hold a credential, Laura was a founding member and early board member of the International Coach Federation.